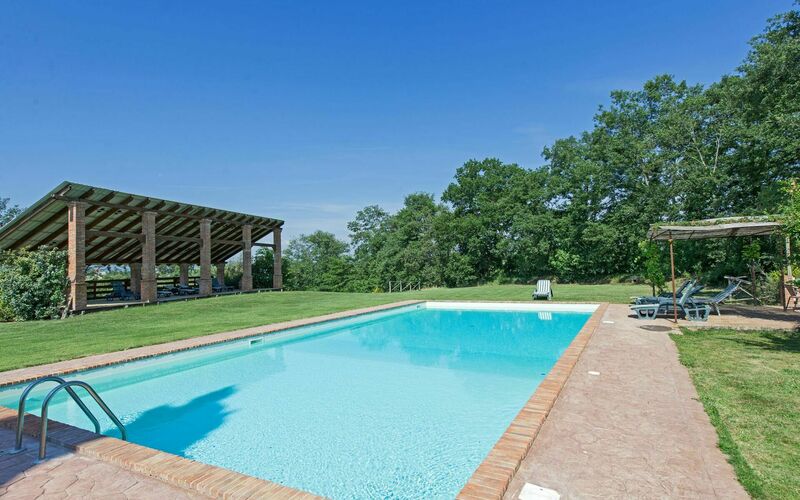 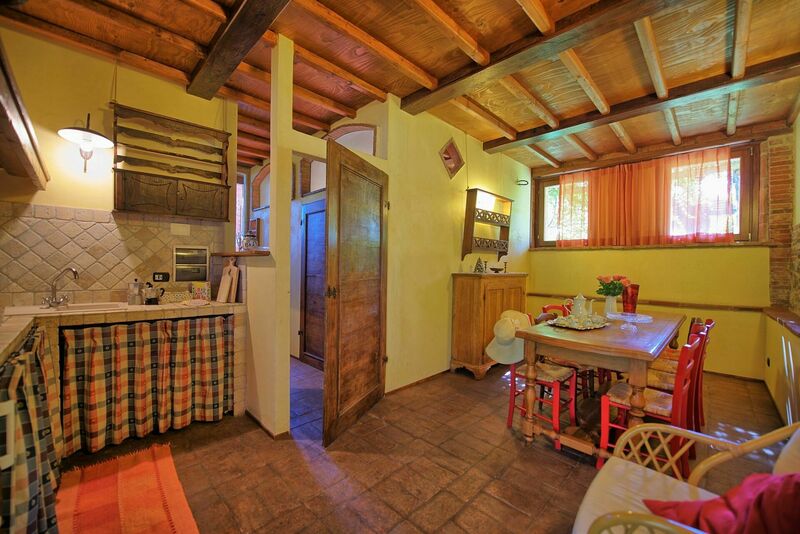 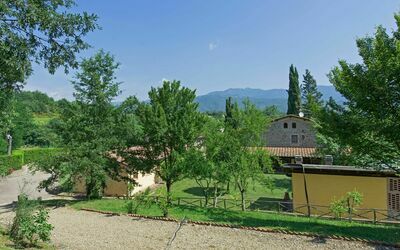 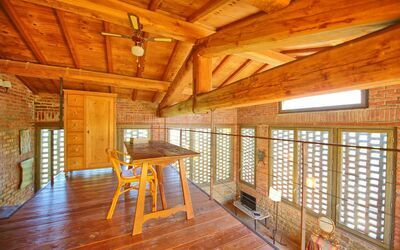 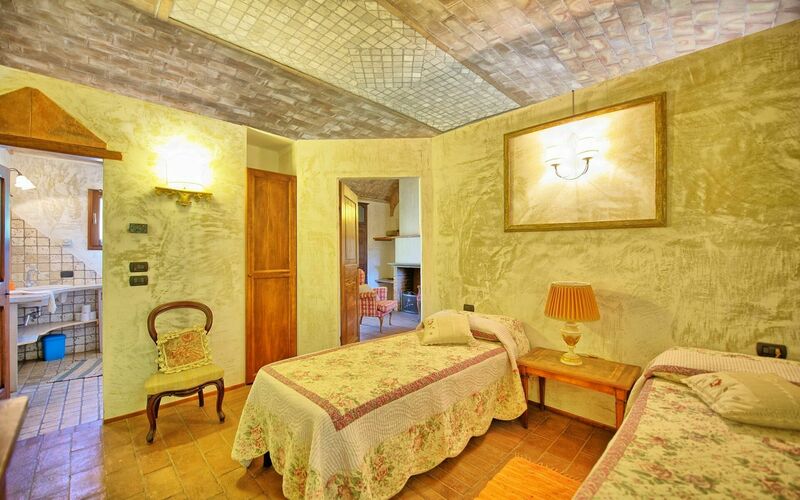 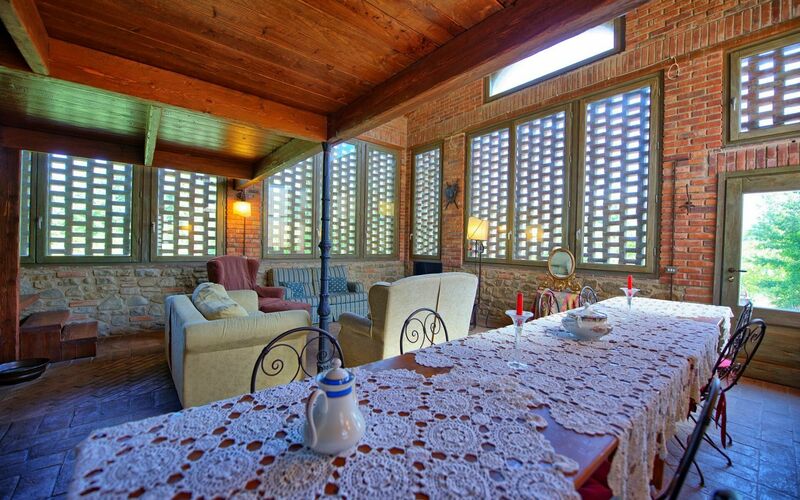 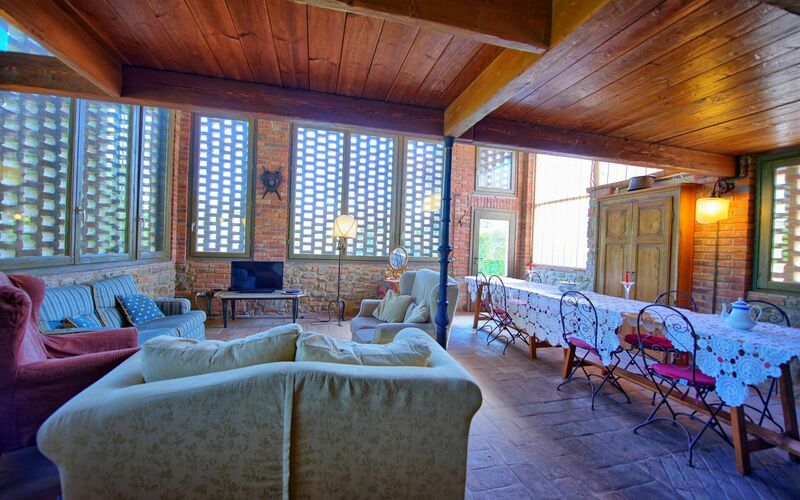 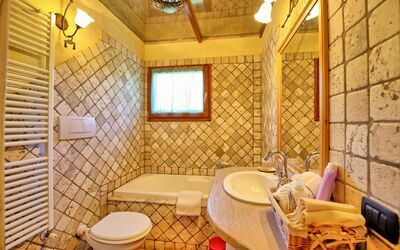 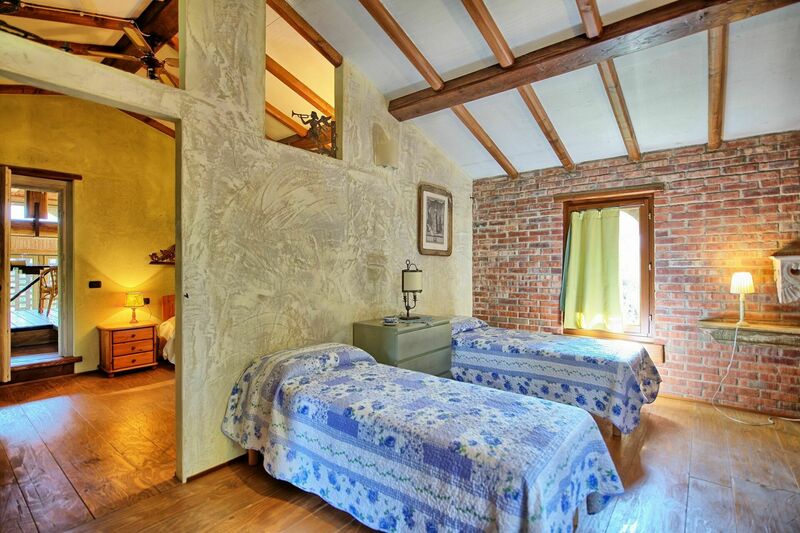 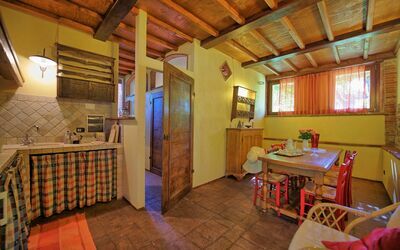 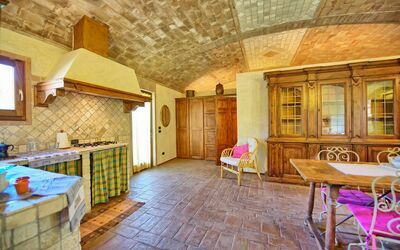 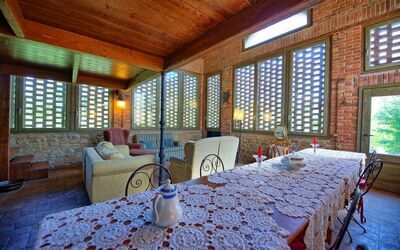 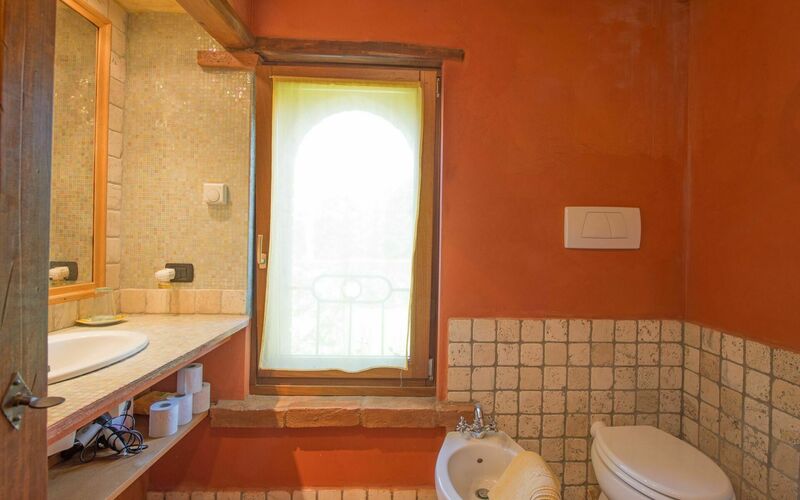 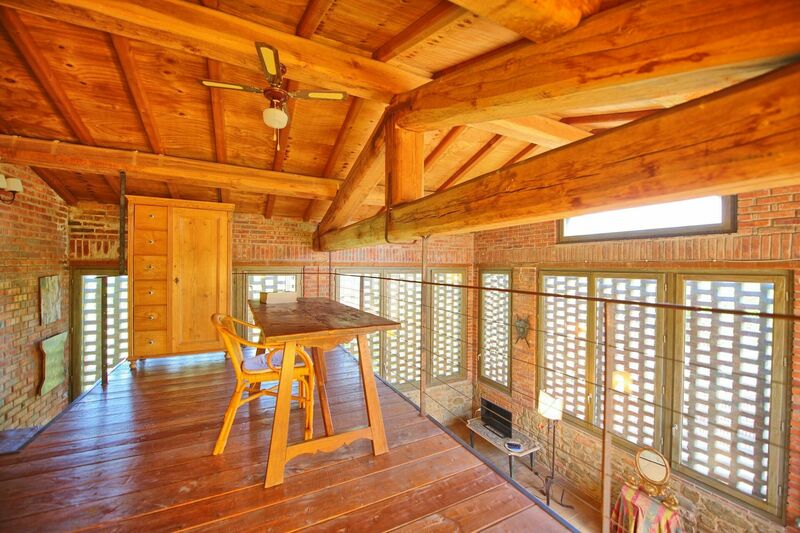 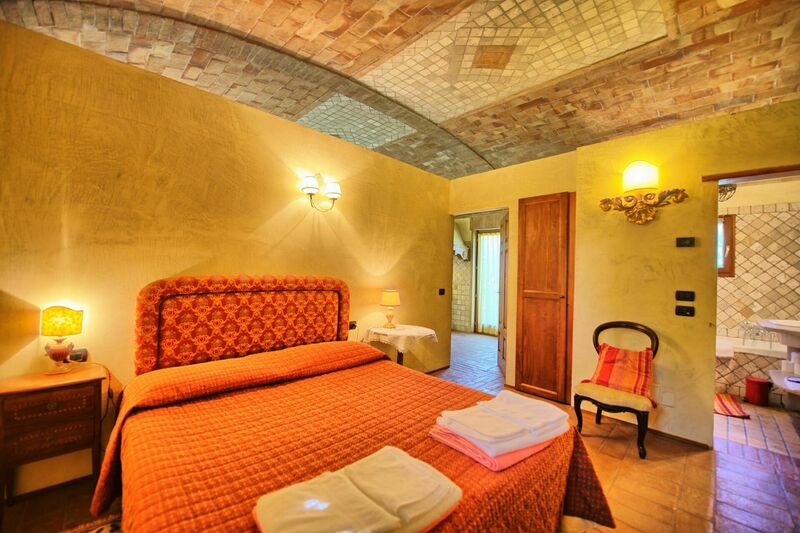 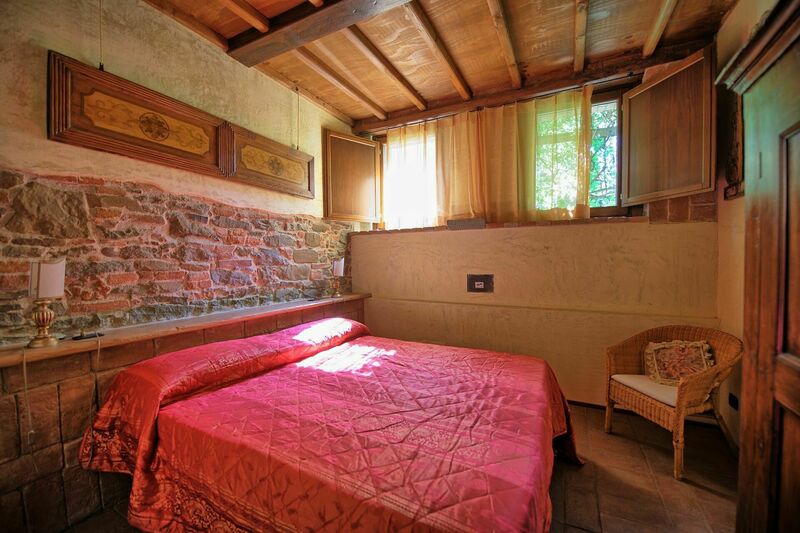 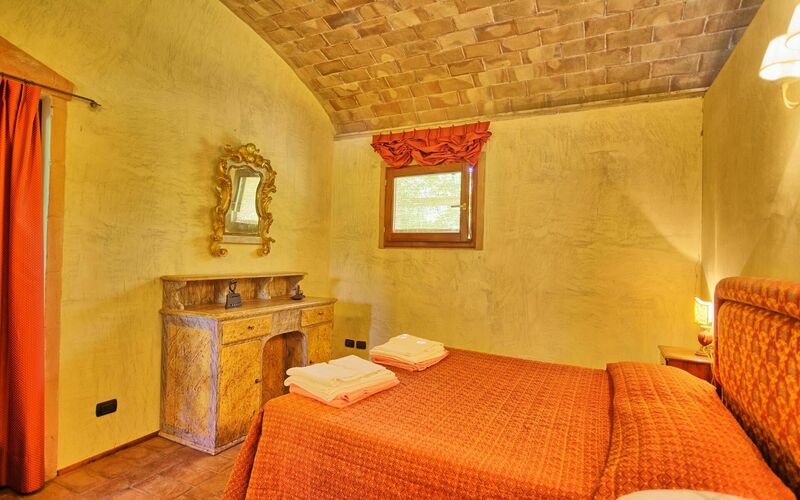 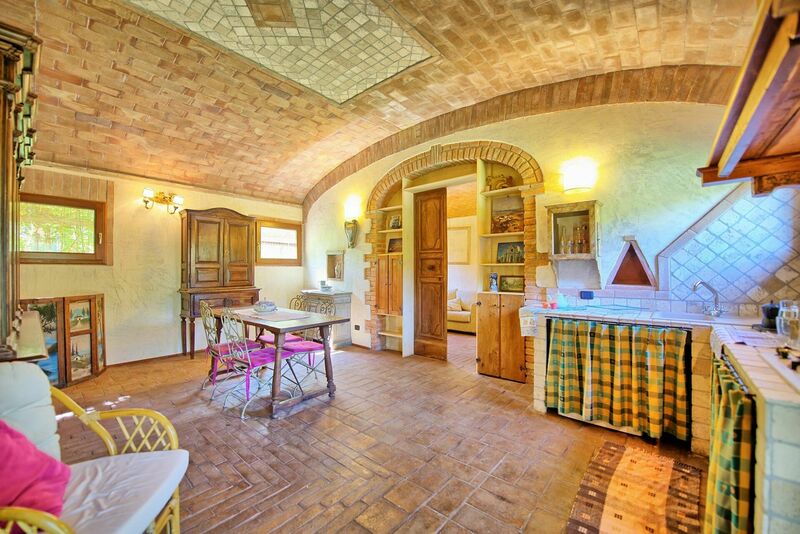 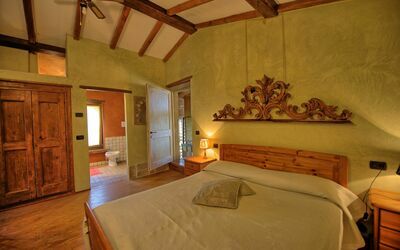 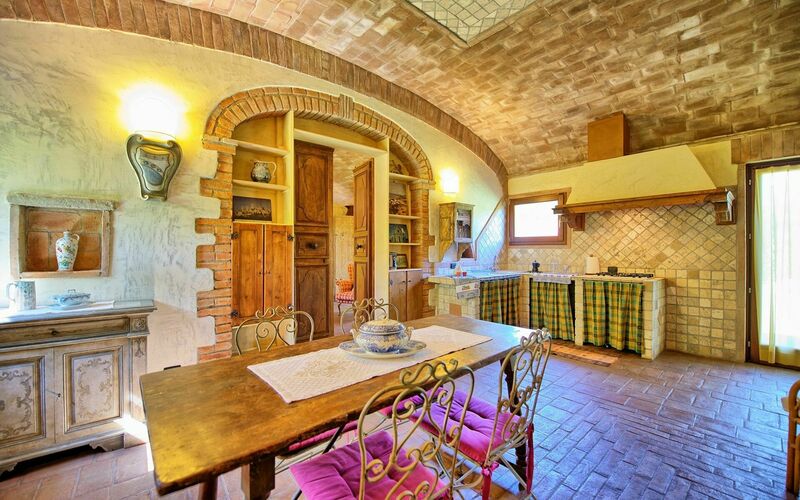 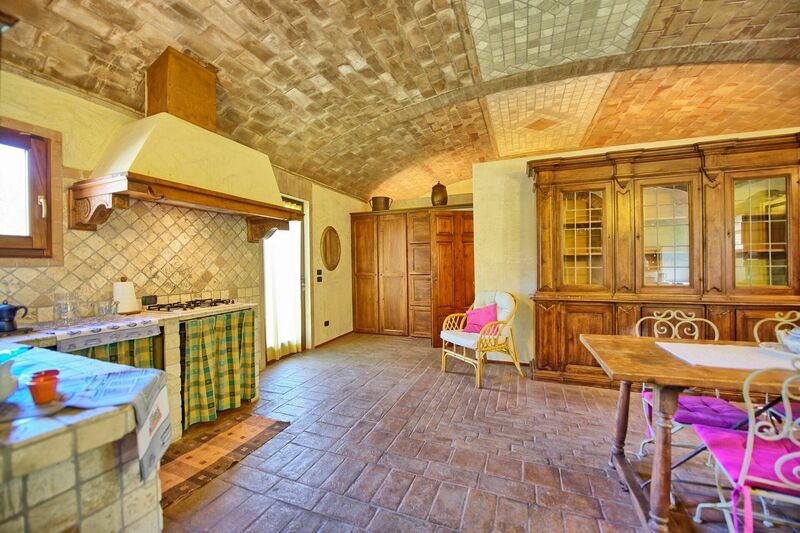 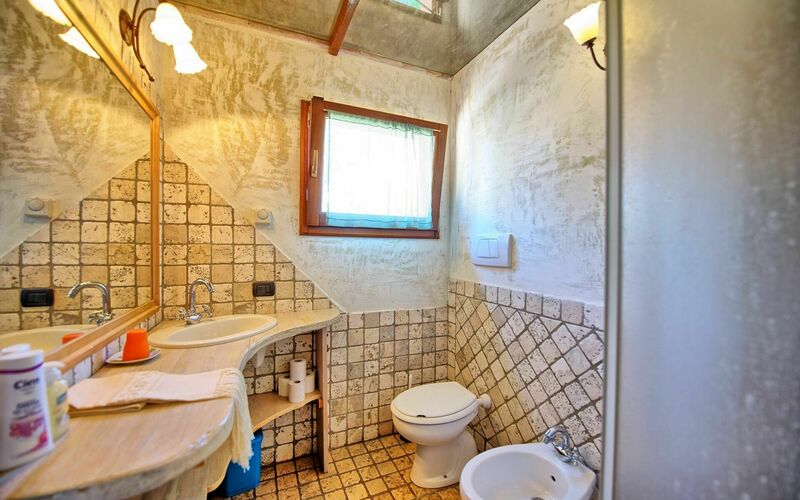 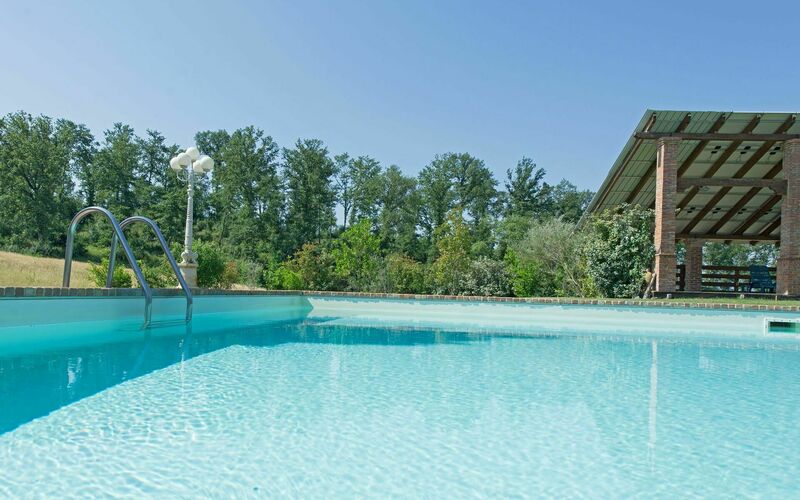 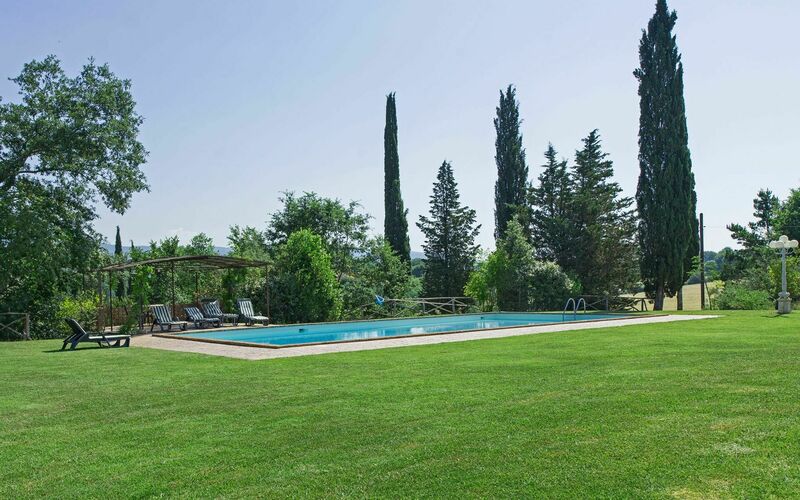 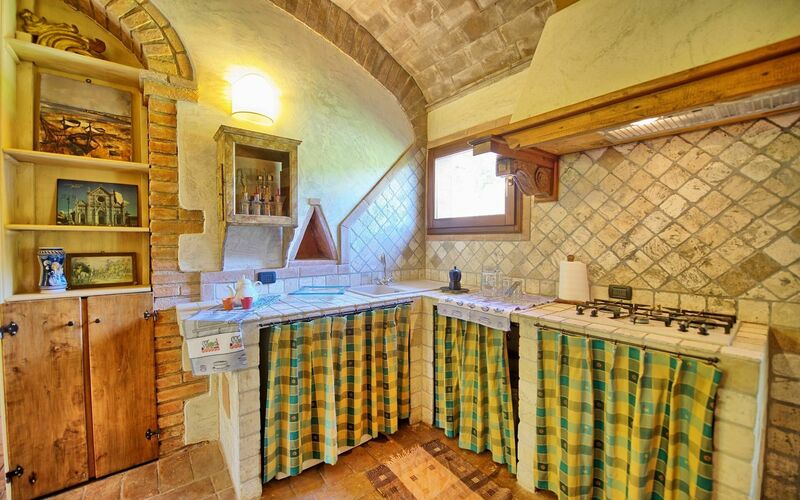 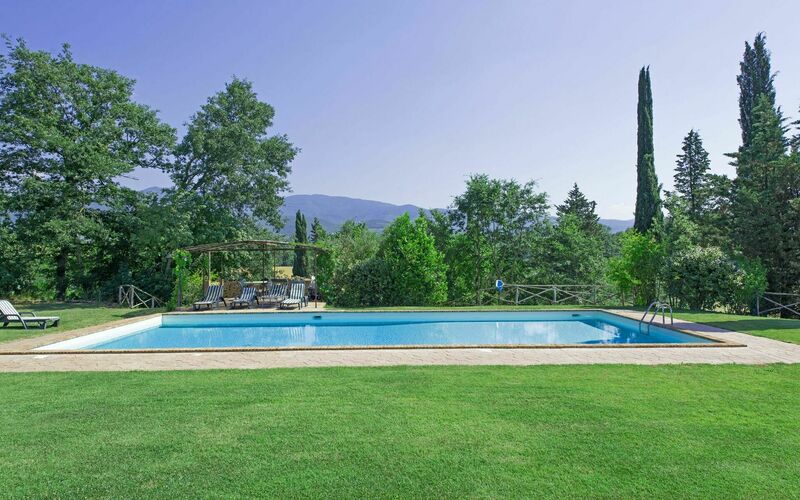 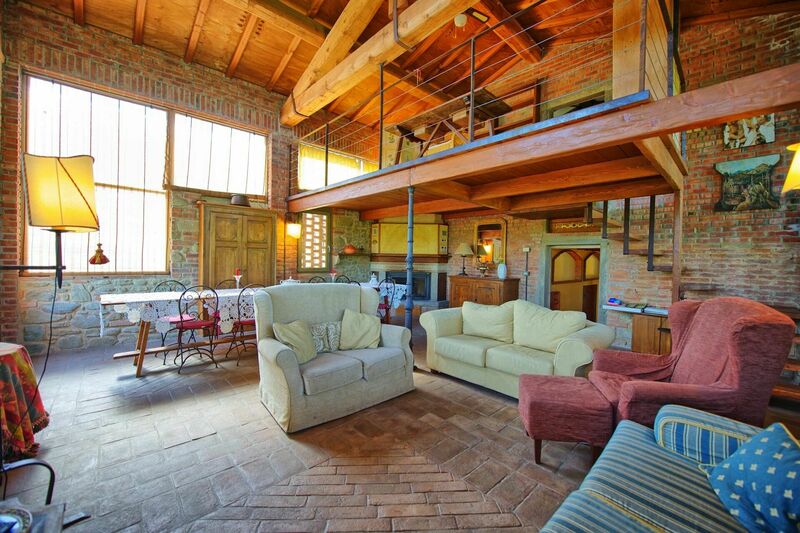 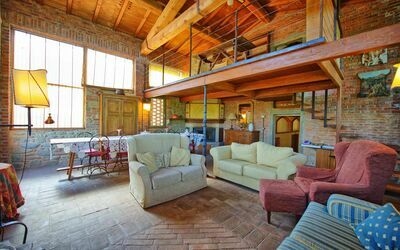 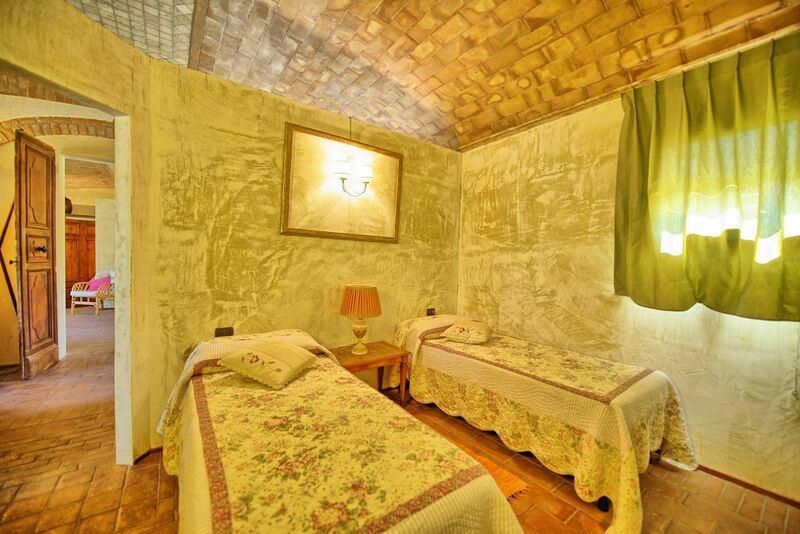 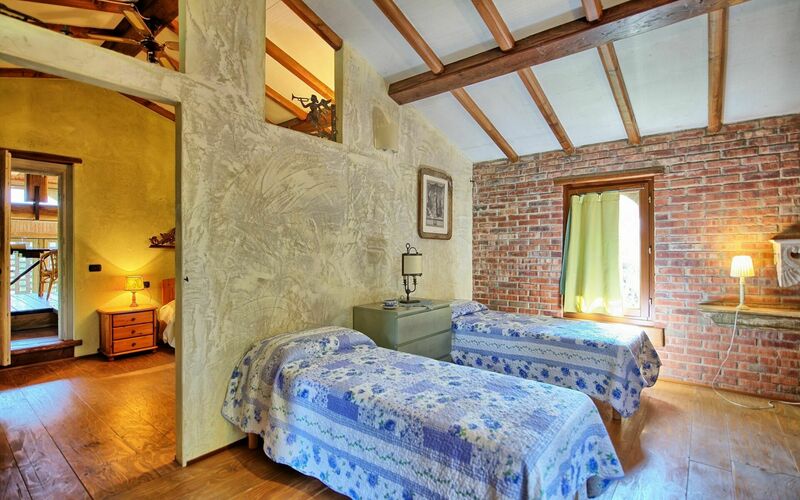 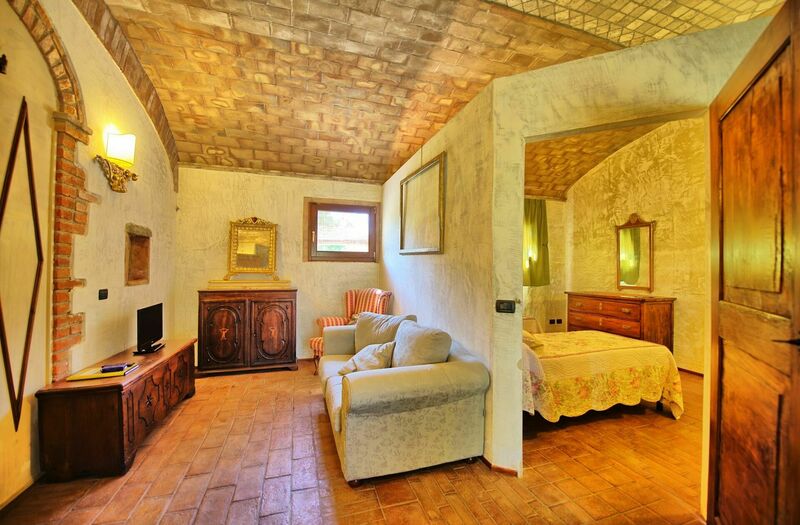 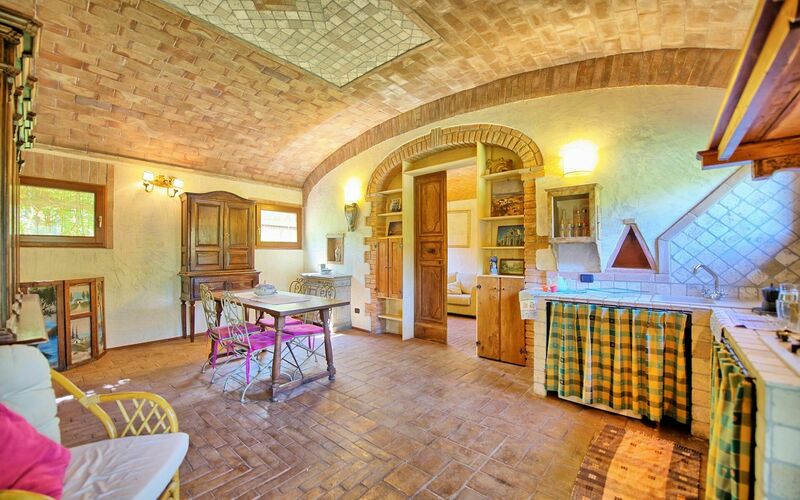 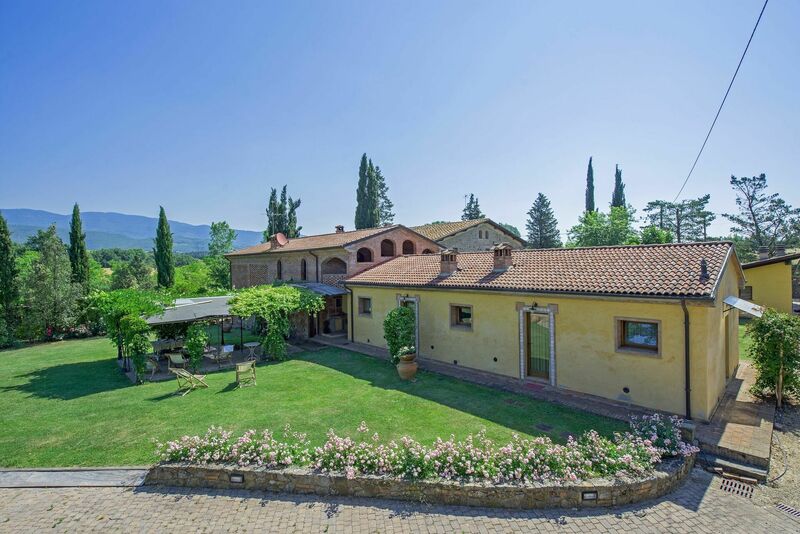 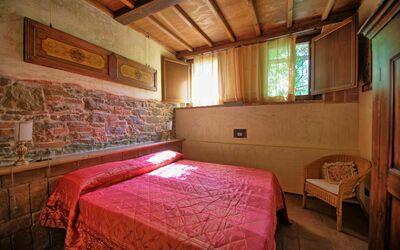 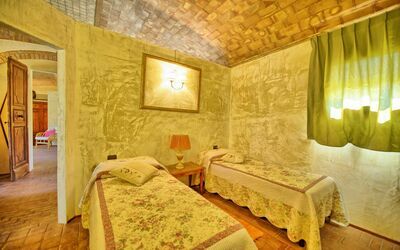 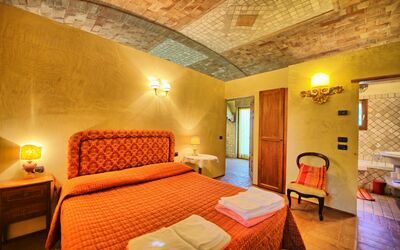 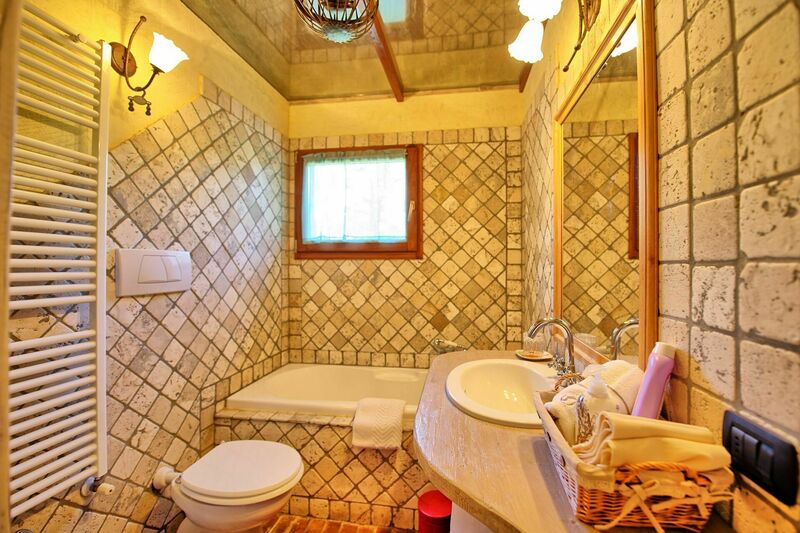 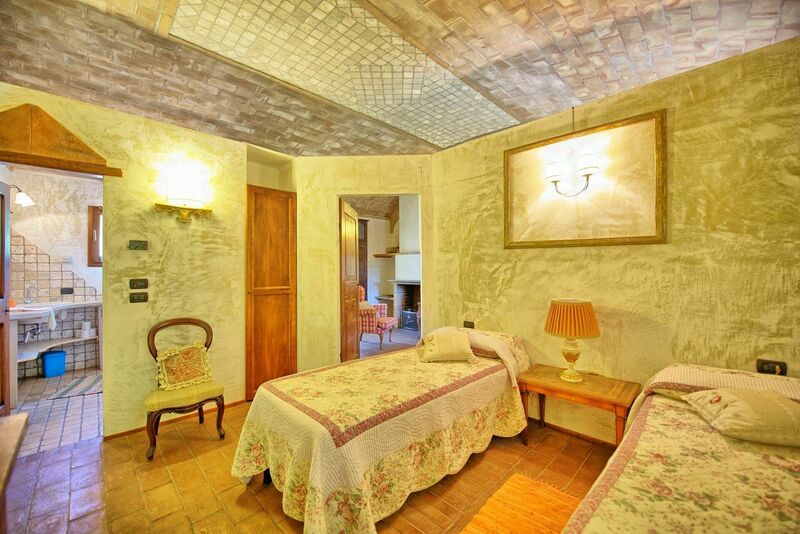 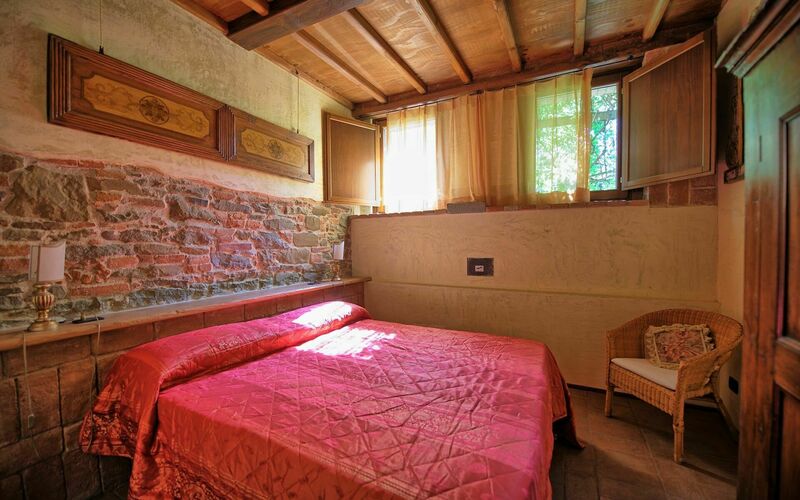 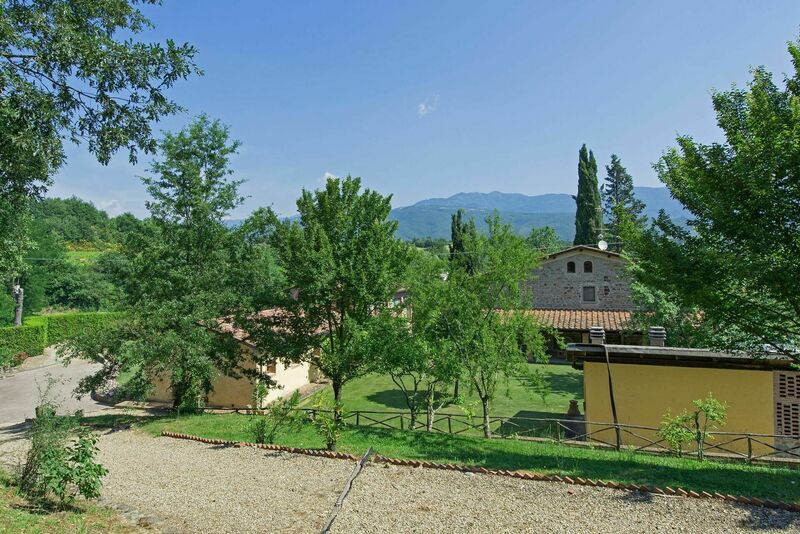 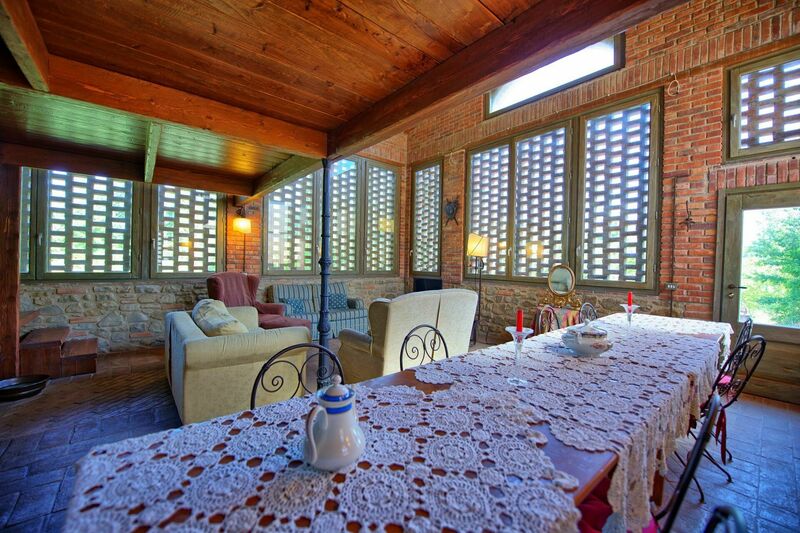 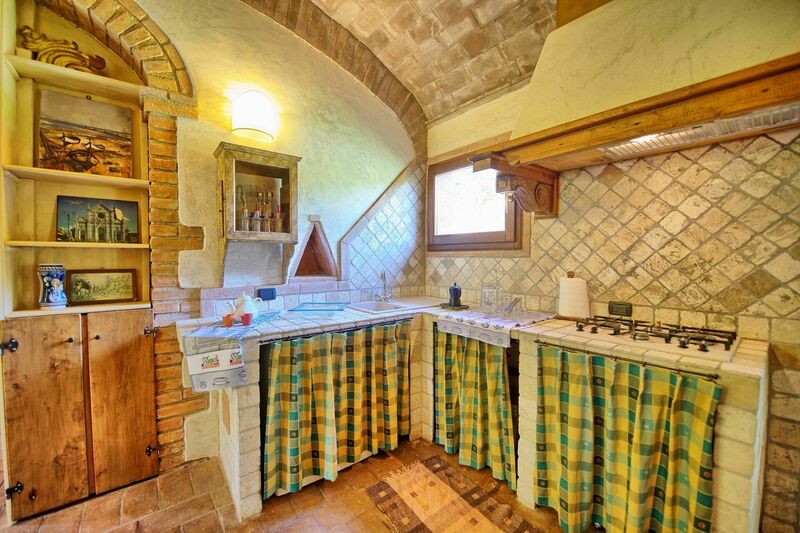 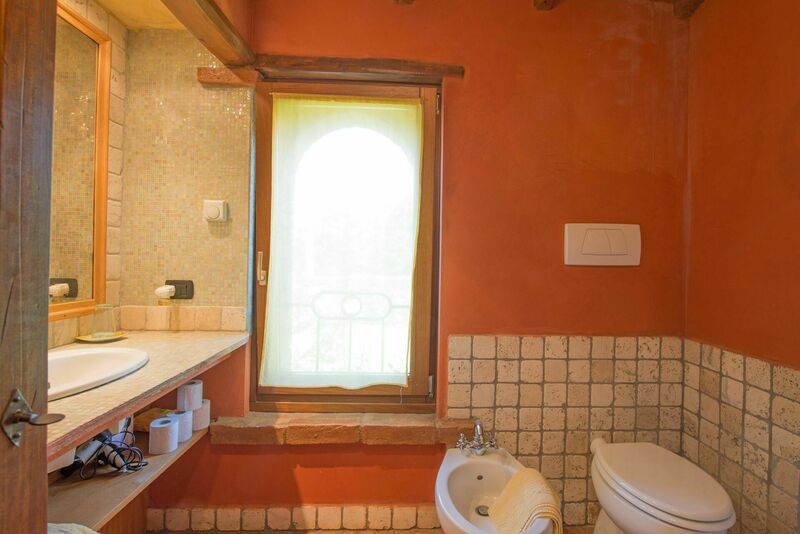 Charming villa situated on the hills of the Valdarno region. This property has been tastefully restored using beautiful materials and preserving its original architectural features and has been turned into 2 spacious apartments rented together, all of which offering fine interiors furnished with some antiques. The owners of the property live nearby. Distances: the small town of Campogialli with food shops 1 km away, Terranova Bracciolini with all kinds of shops 6 km, Arennzo approx. 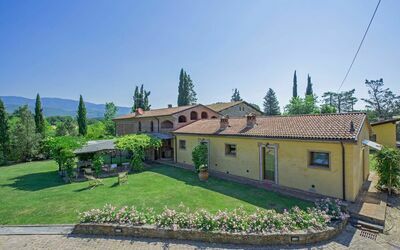 20 km, Florence approx. 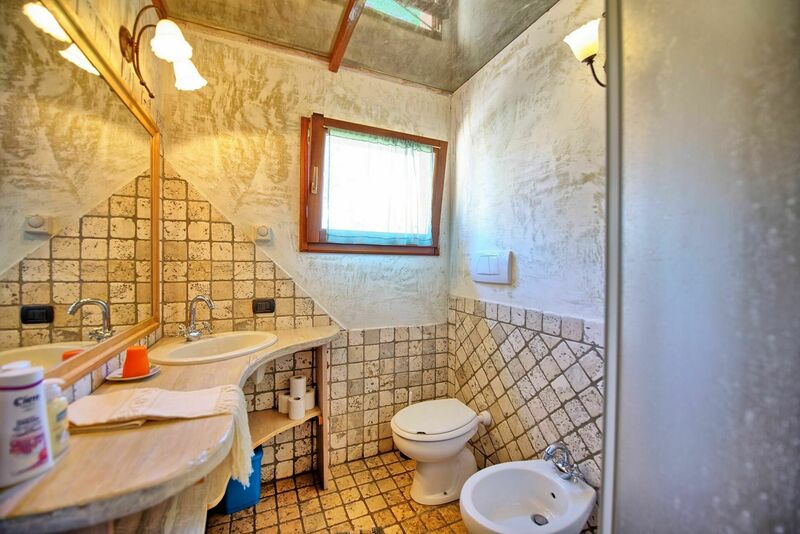 60 km away. 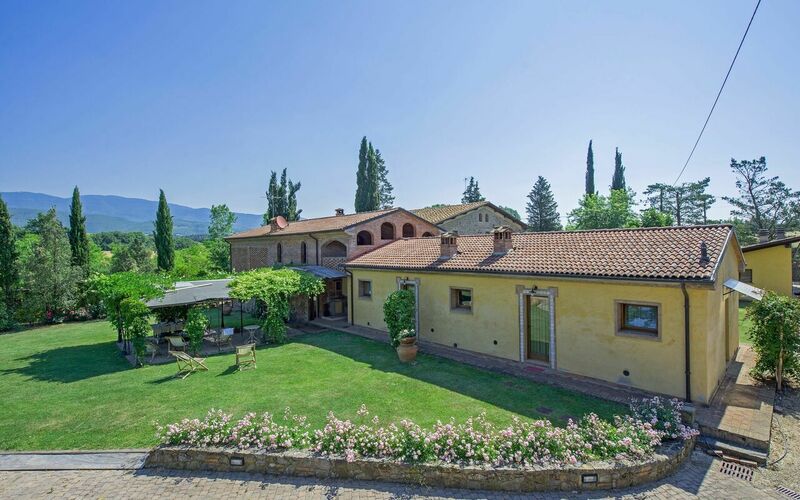 The Chianti Classico area is in a 20-minute drive. At guests’ disposal: large furnished garden, private and panoramic swimming-pool (15 x 7 m – maximum depth 1,8 m – open from 01/05 to 30/09), barbecue, large covered shared terrace. Parking within the grounds. 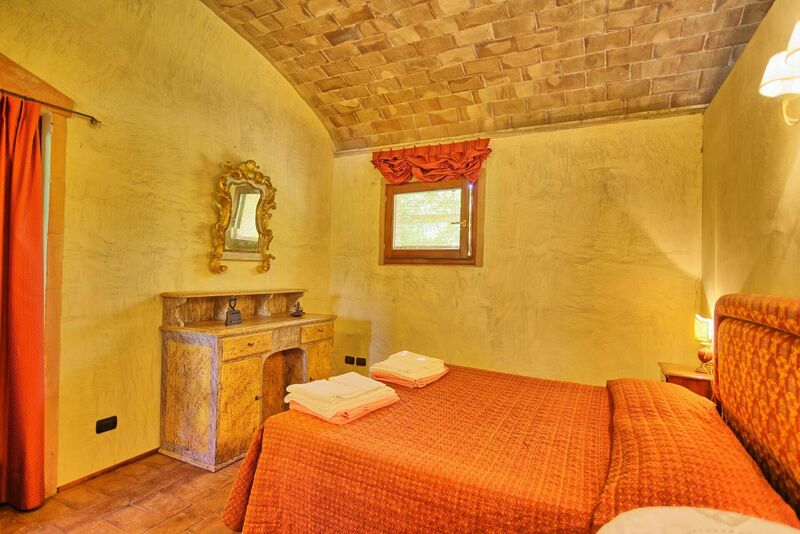 Extra services: maid service available by arrangement € 15,- / per hour (payment on the spot). Extra bed and/or baby bed available on request at € 20,- / per week (to be paid on site.